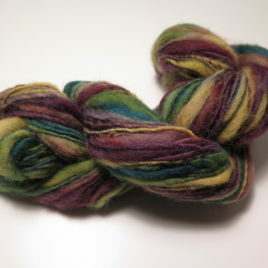 This yarn was handspun from handpainted Shetland wool top. 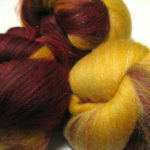 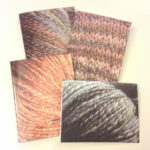 It is a semi-woolen 2-ply, approximately 185 yards and approximately worsted weight. 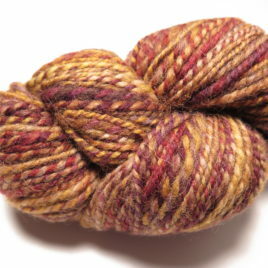 This yarn would make an excellent hat or cowl.